The Dyson Joint Command's engineering and scientific efforts within the Solanae Dyson Sphere have yielded incredible results. 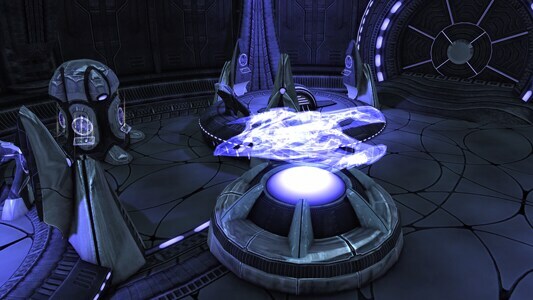 Romulan Republic engineers have been able to adapt the astonishing discoveries found at this artificial celestial structure to create starships that are inspired by the designs found at the sphere, but do not require the use of Omega particles. 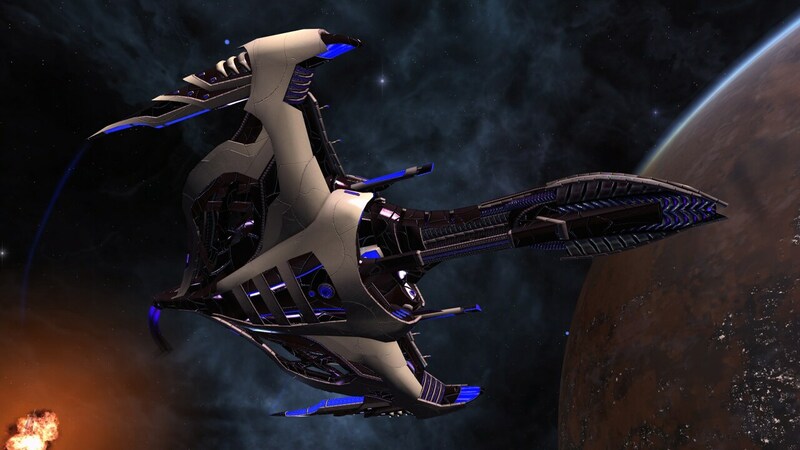 The Dyson Science Destroyers are first and foremost science vessels, but each is capable of entering Tactical Mode to significantly alter how the starship performs. 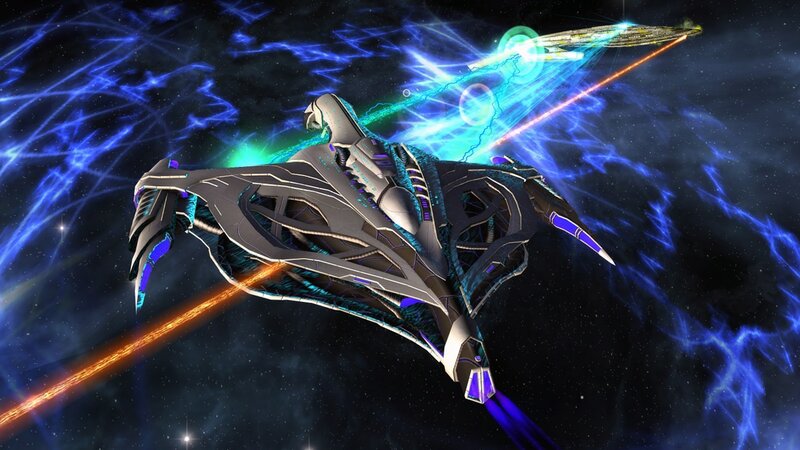 The Dyson Science Destroyers manufactured by the Romulan Republic have lower shield modifiers than the Starfleet variants and less hull than the Klingon Defense Force’s variants, but they make up for this with a built in Romulan Battle Cloaking Device. 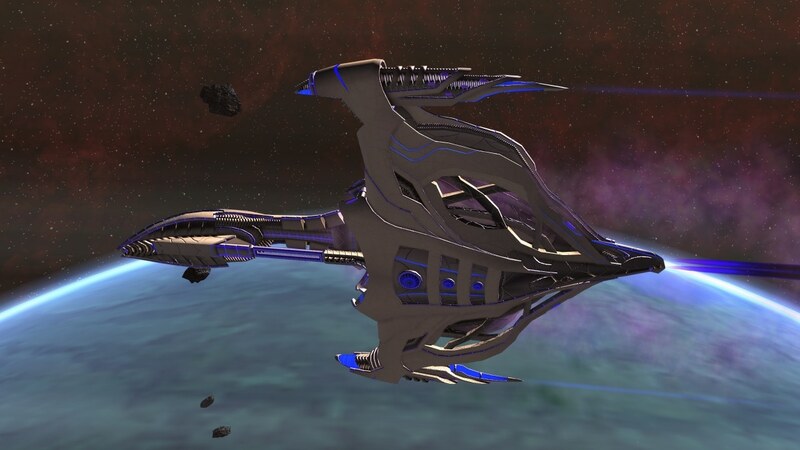 The Harpia Class is an upgraded variant of the Dyson Science Destroyer. It features an additional Tactical console mod slot, improved hull and shield rating and comes equipped with the Proton Destabilizer Module Universal Console. This console allows you to draw power from your warp core to emit a devastating proton beam from your deflector focused on a nearby enemy. Periodically arcing waves of proton energy will lash out at foes nearby your targeted enemy dealing damage to all enemies affected. Note: Unlocking the Dyson Reconnaissance Science Destroyer unlocks this ship for every Romulan Vice Admiral character on an account. The Tyton Class is an upgraded variant of the Dyson Science Destroyer. It features an additional Engineering console mod slot, improved hull and shield rating and comes equipped with the Protonic Shielding Matrix Universal Console. This console allows your Dyson class starship to store and then divert tremendous amounts of proton particles to periodically reinforce your shields for awhile. This will cause your starship to negate large amounts of damage every few seconds for a short time. 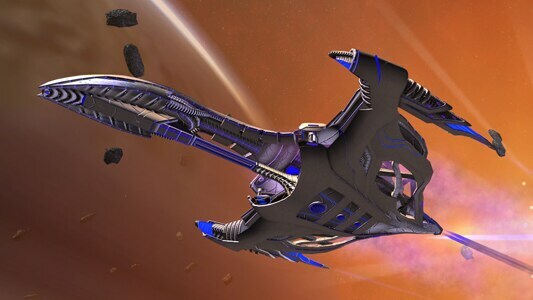 Note: Unlocking the Dyson Strategic Science Destroyer unlocks this ship for every Romulan Vice Admiral character on an account. The Caprimul class is an upgraded variant of the Dyson Science Destroyer. It features an additional Science console mod slot, improved hull and shield rating and comes equipped with the Shield Inversion Projector Universal Console. This console allows your Dyson class starship to emit a devastating tachyon beam blast from your deflector, you can cause your foe's shields to briefly collapse in a wave of energy. The affected enemy will have their shields weakened and suffer heavy shield and hull damage. Allies within the wave will receive a large amount of shield healing. 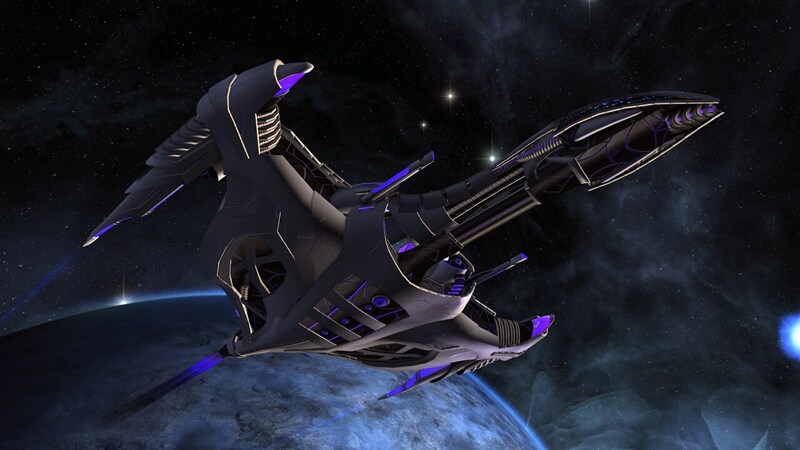 Note: Unlocking the Dyson Command Science Destroyer unlocks this ship for every Romulan Vice Admiral character on an account. NOTE: The Console Mods listed on the ships above can be equipped in any console slot. They may only be equipped on Dyson Science Destroyer ship variants. You may only equip one of these mods per starship. Equipping all four pieces of the Solanae Advanced Technologies set will improve these consoles’ abilities. These devastating weapons are only available when the Dyson Science Destroyer is in Tactical Mode and are built into the ship. They cannot be removed. When in tactical mode, the starship effectively has 4 Fore and 3 Aft weapon slots with one of the Fore slots automatically taken by the Solanae Dual Heavy Proton Cannons. These experimental weapons are already balanced to do comparable damage to more conventional energy types, and can be further enhanced by Consoles which enhance Cannons and/or Proton Damage. Destabilized Proton Beam: Will deal its damage over time much more quickly. These starships feature the Dyson Science Destroyer bridge. While visiting your bridge, you will also be able to access your Account Shared Bank, move into a Small Craft, and contact different ship departments for Duty Officer Assignments. NOTE: You must have enough Ship Slots to commission the new ships. If you do not have enough space, you can purchase additional slots from the C-Store. 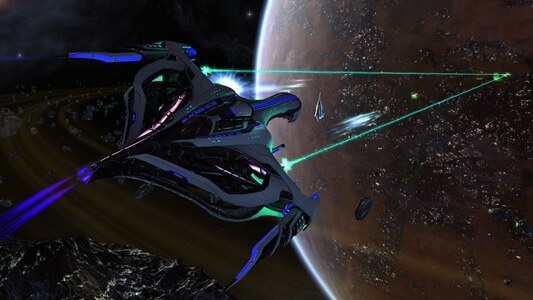 We hope you enjoy flying these powerful new Romulan Advanced Dyson Science Destroyers as much as we enjoyed making them. All three will be available in the C-Store for individual sale (2,500 ZEN) or as a 3-pack bundle (5,000 ZEN; over 33% savings!) this Thursday, February 20th around 10AM PST. As the Klingon and Starfleet factions also each have a 3-pack bundle of Advanced Dyson Science Destroyers, for even more savings, you can choose to purchase all 9 ships in a 9-pack bundle (10,000 ZEN; over 55% savings!). NOTE: Purchasing any one of the 9 ships individually, or any one of the 3-pack bundles, will make the account ineligible to purchase the 9-pack bundle. 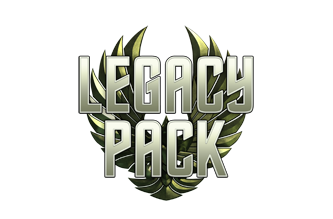 Also, purchasing one of the factional ships individually will make the account ineligible to purchase that faction’s 3-pack bundle. Have fun captains, see you in-game!